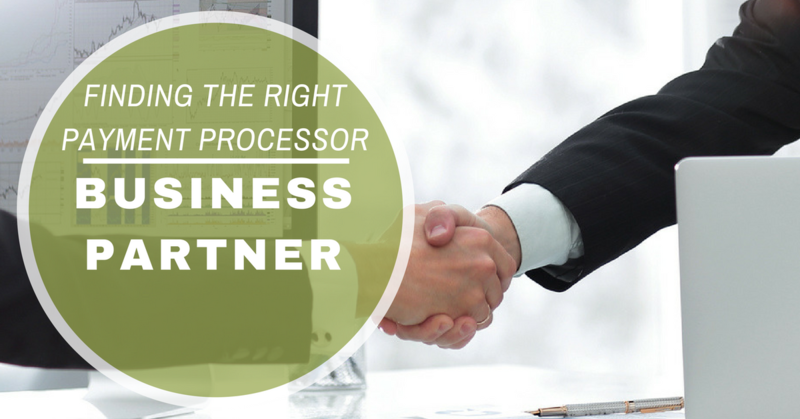 What Makes a Payment Processor a Great Business Partner? Every business that accepts card-not-present (CNP) payments should have a solid, protected and capable payments infrastructure in place. Ideally, this infrastructure includes a payment processor that facilitates online transactions. There is a vast sea of payment processors available to CNP merchants, but given the complexity of CNP payments, merchants should seek out one that can act in an advisory role as well. Working with a payment processor processor that offers consulting services means merchants have extra resources to help evaluate new opportunities, grow the business internationally, support new lines of business, and improve customer experience. The requirements of these functions are vast and deep and require a partner or advisor that possesses industry experience with a robust rolodex of critical players within the payments ecosystem. This partner should have experience developing and maintaining key relationships that improve operations and streamline payments. If you’re looking for a processor that can also fill an advisory role, here are some things to consider. Can they build and enhance relationships between you and your banking and payments partners? A solid processing partner will be able to assist you in all things payments-related, not just act as a gateway. A great payment processor will help you negotiate contracts with other providers for additional payments support. This may include incremental fraud tools, chargeback management, or other tools to increase payment processing capabilities. Most importantly, they will be able to advise you on which tools and services you should consider to streamline your payments operation – and which are not needed. Is your payment processor strategic enough to help you grow your business? Bleeding-edge payment processors will proactively look for ways to help you grow your business. This may include developing strategies to scale your processing abilities internationally or to reduce processing and other operating costs. Finding a strategic partner can streamline communication and processes between your business, card networks, issuers, and other players in the ecosystem. Additionally, they can provide emerging commerce and payments experience to help you seize new opportunities and stay abreast of consumer preferences and regulatory requirements. Is your payment processor an advocate? Some payment processors simply charge you a fee for the ability to accept online payments and call it a day. A true payment processing partner will advocate on your behalf. That means they assist you in maintaining close and ongoing relationships with banking partners. They help you maintain a merchant account that is in good standing. They can aid and manage transition processes (if, for example, you need to move volume from one processor to a new banking partner). If you fall into the high-risk category, a payment processing partner can work with your acquiring bank on your behalf to prepare and execute chargeback reduction plans. Will your payment processor help you optimize transactions? The card-not-present (CNP) payments space continues to grow and become more complex. As merchants of all sizes focus on and scale online businesses, the possibilities – and risks – are endless. Increasingly, merchants are looking for unification, organization and optimization of their payments operation. Having a central “captain” to manage all facets of CNP payments for your organization enables you to easily implement tools, processes and best practices that set you apart from other CNP merchants. The ability to consult and help you scale is a key differentiator you should seek in a payment processing partner. Working a processor that acts as an advisor can help you optimize payments and increase online revenues. From helping you keep your merchant account in good standing to helping you scale processing capabilities as the business grows, a real payments partner can ensure that all the critical pieces are in place for CNP payment acceptance.